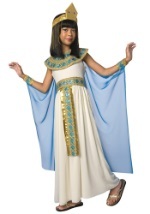 This inexpensive Cleopatra costume is sure to get the attention of your Mark Anthony! 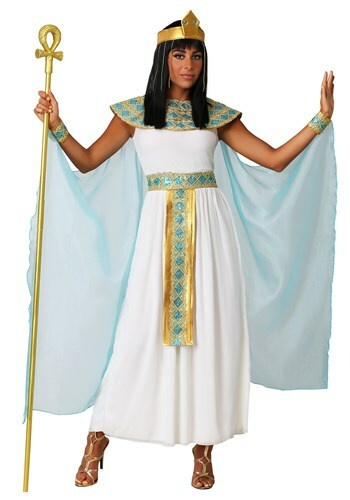 The women's costume consists of a gold, foam headpiece. 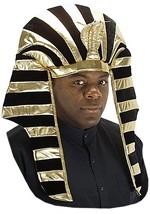 It velcros around the head and has fastened blue jewels with strands of gold beads on the side. It coordinates perfectly with the white dress and a turquoise cape that velcros to the shoulder straps. 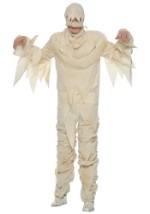 The sheer cape also velcros to the wrist cuffs. The wrist cuffs, collar and belt are made from a shiny, gold material that is covered in a blue netting. 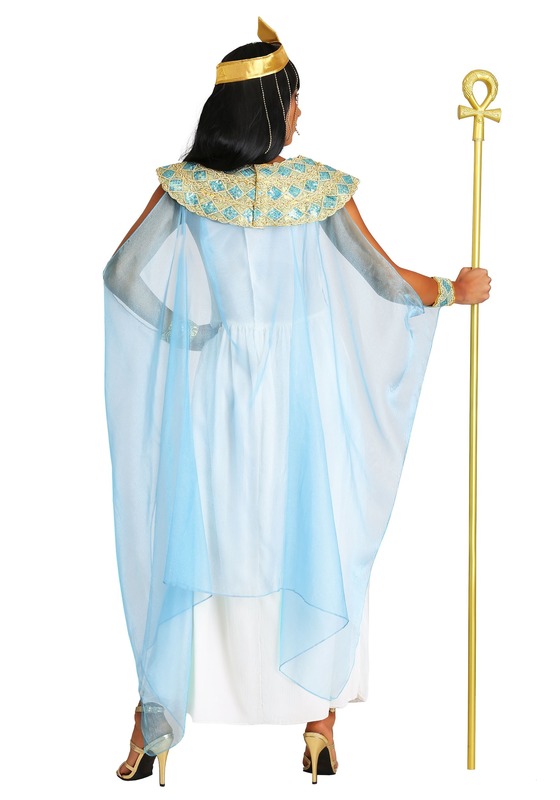 Blue, sequin diamonds lined in a gold and white trim embellish the blue netting. The collar and wrist cuffs velcro in place and the belt is attached to the dress. 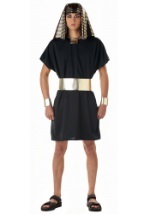 The dress is 100% polyester and velcros in the back for closure. Perfect your look with the gold arm band.